Have you been following McMaster men’s hockey this year? McMaster men’s hockey club coach and general manager Rob Wilkinson would be surprised if you have. “Nobody really knows about us,” said Wilkinson with a laugh. Marauder teams have once again enjoyed success across the board this season, highlighted by another provincial championship for the men’s volleyball team. But one sport most students are not aware of is the men’s hockey team, largely because it is a club and does not participate in the Ontario University Athletics. Yet this club of dedicated Mac athletes has been running strong for the past decade. As a club, the men’s hockey team gets invited to play in six or seven tournaments a season, which roughly spans from October to February. These tournaments take place at various schools around Ontario and Québec, such as St. Lawrence College, Bishop’s University and Sherbrooke University. Most of these schools are part of the Ontario Colleges Athletic Association. Beyond tournaments, the team also plays exhibition games against other school teams, including the University of Waterloo, the University of Toronto and Sheridan College. They do not always have to travel, though — they face off against Mohawk College and Redeemer College a few times a year as well. Recently, the club played Redeemer on April 4 at Chedoke Arena, a local venue. This is the ninth season behind the bench for coach Wilkinson, who organizes the tournaments for the team on top of his coaching duties. He is helped by his son Blair, a McMaster alumnus, who serves as the assistant coach. It takes a lot of work for Wilkinson to oversee the club. Still, he enjoys his role on the team and said it is rewarding to find opportunities for McMaster students to play hockey throughout the year. Funding and practice time can be a challenge for the McMaster squad, but the players and coaches are willing to make financial and time sacrifices. To the coaches, it is all about the students and making sure that they can play the game they love. Wilkinson takes particular pride in noting that the club is heavily involved in OCAA tournaments, despite not being part of the association. Because McMaster is not part of the OCAA loop, there are certain restrictions and fees that must be overcome to allow the club to participate. Nevertheless, the coaches and players find a way to attend several of them. The club even has built up some traditions over the years. Wilkinson mentioned an annual weekend trip to Brockville to play in a tournament before heading to Montreal for the night. In Wilkinson’s time as a coach, he’s seen many different players wear the McMaster uniform on the ice. Despite the low-profile nature of the club, he’s quick to note that there have been some very successful seasons. “We won three tournaments one year,” he added. This year has seen the team attend five tournaments so far. While results are not the most important thing to Wilkinson and the club, McMaster has still done fairly well, coming away with a consolation championship and two semi-final appearances. 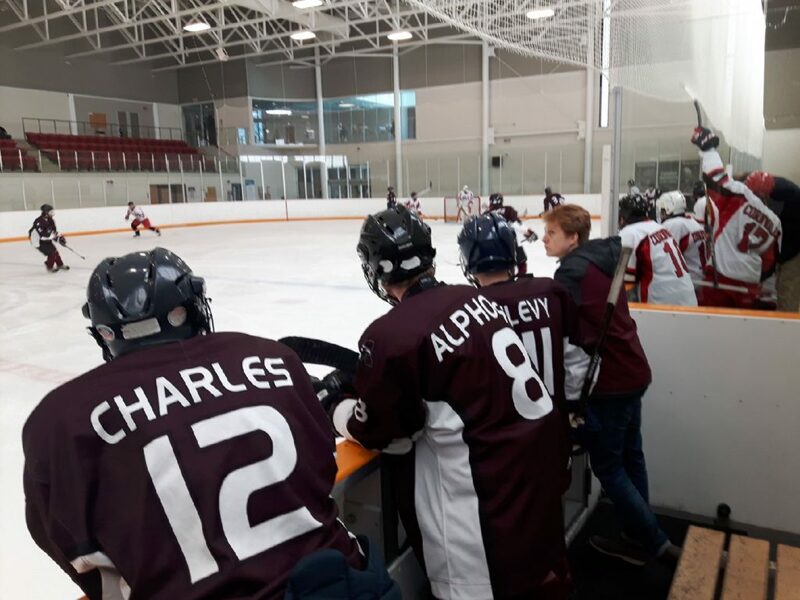 Typically, the club holds tryout skates at the beginning of the school year, where any McMaster hockey players are welcome to come skate and join the club. From there, the coaches select players from the large roster to go on tournaments, depending on the availability of the students. 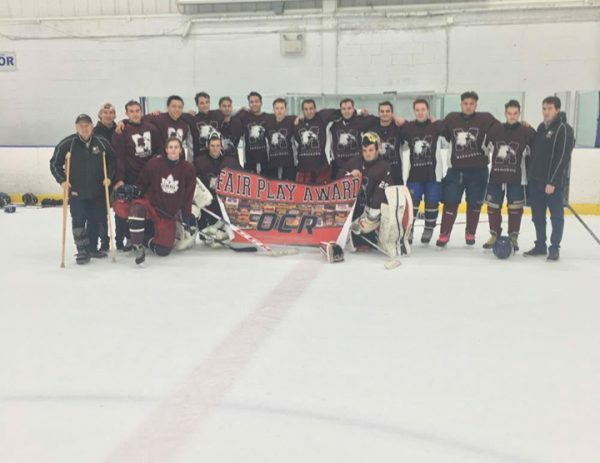 Though McMaster lacks an official varsity men’s team, hockey still lives on through the McMaster men’s hockey club. Over the past decade, coach Wilkinson and the team have traveled all throughout the province, carrying maroon pride with them. So the next time someone mentions men’s hockey at McMaster, remember that Mac does have a presence on the ice.